Would you like to watch complete ride-through videos of every Walt Disney World show and attraction? 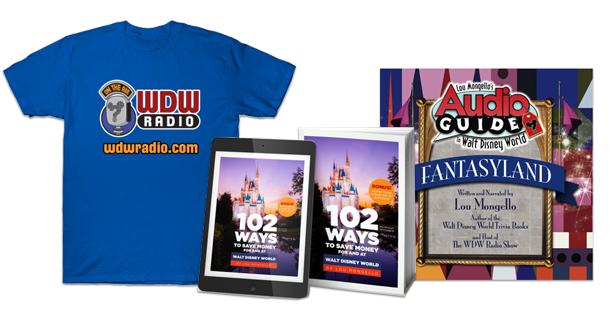 Click Here for the Complete WDW Attraction DVD Collection! Walt Disney uttered these words after being frustrated at the inability to keep cheap motels, neon signs, and tourist-trap gift shops out of view of his guests at Disneyland. For this reason, he purchased over 47 square miles of land to build his second theme park in. By keeping the hotels, parks, and guest facilities away from the public roadways, Disney could control what guests see and avoid making the same mistakes that he made with Disneyland. Less than two months later, Roy, seemingly having been satisfied that he completed his brother’s work, passed away on December 20, 1971. There are about 1100 Audio-Animatronic figures in the Magic Kingdom alone! These are all controlled using a system called DACS (Digital Animation Control System) from a central remote location, along with the more than 700 soundtracks for attractions, parades, stores and restaurants! In the four theme parks, there are close to 2000 Audio-Animatronics figures in all. The 125-acre Magic Kingdom parking facilities can accommodate 12,213 vehicles, all of which will be full by 10:00 a.m. Christmas Day. More than 5,000 performers, (not counting the 500 doves that were released), joined in the Grand Opening Celebration of Walt Disney World at the Magic Kingdom on October 25, 1971 . A 1,076-piece band (including 76 trombones) was led by “Music man” Meredith Wilson as part of the Grand opening parade up Main Street, USA . Meredith Wilson was best known as author and composer of “The Music Man,” which premiered on Broadway in 1957. He is also the composer of many memorable songs, such as “76 Trombones,” “It’s Beginning to Look Like Christmas,” “You and I,” “May the Good Lord Bless and Keep You” and “Till There Was You,” which was a hit for the Beatles in 1963. If you look closely at the ground as you walk down the center of Main Street, USA ,you will see a series of “pucks” embedded in the pavement. These are actually small sensors used to locate and identify floats along the parade route. As float passes over each of these “pucks,” they transmit information back to a central computer (identified as “pageant”). This information is used to synchronize each float with it’s music., and ensure that it is in the correct location in relation to the other floats. The Magic Kingdom occupies an area of just 107 acres, while Epcot covers about 300 acres. That means that you could almost fit 3 Magic Kingdoms inside of Epcot! Walt Disney World is home to the two tallest “mountains” in Florida: Big Thunder Mountain, which stand at 197 feet tall and Space Mountain in Tomorrowland, which is 180 feet tall. The Magic Kingdom ‘s third mountain, the baby of the bunch, is Splash Mountain , standing at just 87 feet tall above Frontierland. The Magic Kingdom has the capacity for 100,000 guests, although Disney often will close the parking lots when 75,000 guests have entered the park, since the buses are still running. Climb aboard the Walt Disney World Railroad for a ride on an authentic steam train. You can board at the main entrance to the Magic Kingdom at the end of Main Street, USA, or in Frontierland next to Splash Mountain, or at the back of Mickey’s Toontown Fair. Walt Disney World sentimentalists (like me) will fondly remember the old Penny Arcade. Not because they had great video games, but for the real old games and hand-cranked moving picture machines. For just a penny, you could watch old Mute-o-scopes (which you cranked by hand), and Cail-o-scopes, which rotated the pictures automatically. You could then head over to the Fortune Teller machine to see what the future held for just a few cents, then take a penny for and have it pressed with a Disney image on it. Sadly, the Penny Arcade closed on March 19, 1995, and was made part of the Main Street Athletic Company. The only remaining arcade in the Magic Kingdom is the Tomorrowland Arcade, located at the exit to Space Mountain. Fear of traffic jams and overcrowding fueled by media hype kept crowds away from the park on October 1, 1971. In fact, extra Florida State Troopers were brought in to control traffic jams, but were found to be unnecessary. While some early guests drive in circles around the entrance hoping to be the first to enter the park, less than 10,000 guests visited the Magic Kingdom that day. By November, however, Florida experienced the worst traffic jam in its history, as nearby Interstate 4 was backed up for miles with Disney visitors. The graceful, swan-shaped “Plaza Swan Boats” that took guests on a slow-moving cruise through the Magic Kingdom ‘s waterways departed from a docking pavilion built in 1973 near the Castle, facing Tomorrowland. In his effort to make guests feel as if they were entering a movie theater, Walt Disney wanted guests to feel that everything they saw in Walt Disney World was part of a “show.” That’s why everyone that works there is “onstage” and part of the “Cast” at all times. In keeping with this idea, Walt wanted his guests to feel as though Disney was laying down the “Red Carpet” for them. For that reason, he had the walkways at the main entrance to the “theater” that is the Magic Kingdom painted red. As part of the 100 Years of Magic Celebration, Disney unveiled its Share a Dream Come True parade, which takes place daily in the Magic Kingdom from Frontierland to Main Street, USA . It features 100 Cast member and life-size “snow globes” highlighting many favorite Disney stories and characters. Believe it or not, the globes are not air conditioned! Some have small fans to try and keep the characters cool, but they usually keep the temperatures inside about 5 degrees cooler than the outside temperature. Air conditioners cannot be used, because if it gets too cold inside the globe, it will cause them to form condensation inside. Only the Beast costume from Beauty and the Beast has any type of cooling system in it. There is a small reservoir of water attached to one o the legs. A pumping system brings water to a small drip above the Cast Member’s head to try and keep them cool. Disney’s “Keys to the Kingdom” is a 4 1/2-hour guided tour of many of the backstage areas of attractions, and the very secret tunnels underneath the Magic Kingdom . During the tour, you will learn about the history of Walt Disney World, trivia, and little-known facts. You will ride a few attractions, and end up in areas few guests ever get to see – the underground tunnels beneath the park where the high-tech magic really happens! The tour, open to guests age 16 or older (as no one under 16 is allowed in the tunnels), is just one of the many special tours available to guests. Disney’s “Backstage Magic” tour is the top-of-the-line, all-day tour of not just the Magic Kingdom , but Epcot and the Disney-MGM Studios as well! Go down into the Utilidors, and into the Resorts’ construction and repair facilities, and see what’s behind the Fantasmic! Mountain, and visit the costume department Disney-MGM Studios. Travel to Epcot to watch the motion-control systems of “Body Wars” and more! Beginning October, 2003, “Wishes,” the biggest fireworks show ever presented for Magic Kingdom guests began its nightly run. 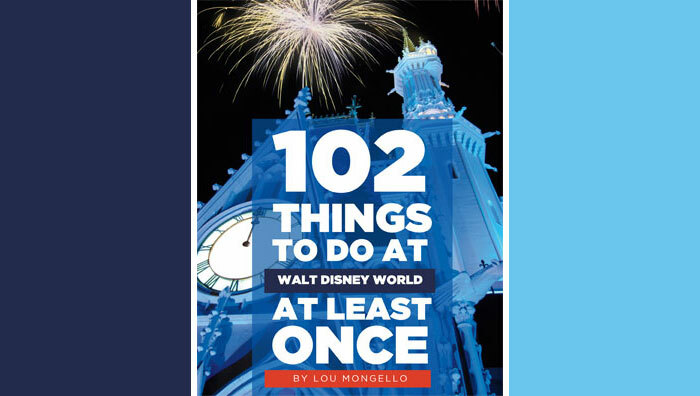 Narrated by Pinocchio’s conscience, Jiminy Cricket, the 12-minute show tells the story of making a wish come true by combining moments from classic Disney films with dazzling pyrotechnic effects. The new show is several times the size of “Fantasy in the Sky,” the production which it replaced. While the show primarily takes place above and around Cinderella Castle, there are several new sites for launching fireworks that make the experience nothing short of memorable. Tony’s Town Square Restaurant is a full service, Italian restaurant located on Main Street USA on your right as you enter the Magic Kingdom. Next to the Town Square Exposition Hall, you can relive the romance from the Disney film, “Lady and the Tramp.” Experience the charm of an old New York Italian eatery with its tiled floors, checkerboard tablecloths, and Lady and the Tramp dÃ©cor. You can find hidden Mickeys all throughout the parks and resorts, but the Imagineers, when designing and building the floats, put a hidden image of Walt Disney on each. Many are hard to spot, especially at night, but some include silhouettes, statues, or small portraits. On the Mickey snow globe, for example, look for a silhouette of Walt’s face on the left side of the “video projector” on the top of the globe that contains Mickey. Each year Mickey hosts a Not-So-Scary Halloween Party in the Magic Kingdom , where the Magic Kingdom is transformed into a kid-friendly “spooky” Halloween party, including a Halloween Parade, Trick or Treating, fireworks and more. Wear your costume – adults and kids alike! Operating from May 1973 until August 1983, slow-moving boats known as the Plaza Swan Boats traveled around Cinderella Castle and offered guests a guided tour of the Magic Kingdom. Contrary to rumor, they were not sold to the City of Orlando, nor are they found on nearby Lake Eola . Disney’s nighttime SpectroMagic parade was introduced as part of Walt Disney World’s 20th anniversary, on October 1, 1991 . It replaced the Main Street Electrical Parade, which was moved to Disneyland Paris. You can find a place to sit and play checkers in front of the Frontierland Shootin’ Arcade. You can also play a relaxing game of checkers in the Fort on Tom Sawyer’s Island . The old steam engines of the Walt Disney World Railroad take their passengers clockwise around the park, with station stops in Frontierland, Mickey’s Toontown Fair, or on Main Street, USA . You can get off at any stop, or take a round-trip tour of the Magic Kingdom . Walt Disney has a great interest in trains, beginning from his youth, where he worked for the Santa Fe Railroad. In fact, he loved trains so much that he built a miniature railroad in his California home’s backyard called the “Carolwood Pacific,” which was part of his inspiration for the addition to trains his theme parks. FastPass is currently available for these Magic Kingdom attractions: Big Thunder Mountain Railroad, Buzz Lightyear’s Space Ranger Spin, The Haunted Mansion, Jungle Cruise, The Many Adventure of Winnie the Pooh, Peter Pan’s Flight, Space Mountain, Splash Mountain, and Mickey’s PhilharMagic. The Crystal Palace, located between the entrance to Adventureland and Casey’s Corner on the West side of the Main Street is modeled after an exposition hall in Regent’s Park in London in the late 1800’s. Here, you can meet all your friends from the Hundred Acre Wood up close, such as Winnie the Pooh, Tigger, Piglet, and Eeyore. Replaced in late 2003 by “Wishes”, the “Fantasy in the Sky” fireworks display was sparked by Tinkerbell, who made her nightly flight from the top of Cinderella Castle to start the show. “Wishes,” is a new story-in-the-sky fireworks spectacular which combines magical moments from Disney films with spectacular pyrotechnics effects. It replaces and will many times the size of the “Fantasy in the Sky,” fireworks show which debuted in 1976. In fact, “Wishes” is the largest pyrotechnic display ever staged in the Magic Kingdom . However, guests will still be dazzled by Tinkerbell’s nightly flight high above the Magic Kingdom . “Wishes” is narrated by Jiminy Cricket, who was Pinocchio’s conscience, as he takes us through a story about making wishes come true. The Share A Dream Come True Parade is presented by Kodak, and is a parade of giant snow globes is a tribute to classic Disney characters and stories. The 15-minute daytime parade runs from Frontierland to Main Street, U.S.A. in the Magic Kingdom, and should not be missed. The world famous Turkey Legs come from turkeys that weight between 40 and 50 pounds each! Each leg is about 1.5 pounds. They are injected a salt water cure into the leg’s muscle tissue to insure absorbtion, then slow cure in a smoker for about 6 hours.